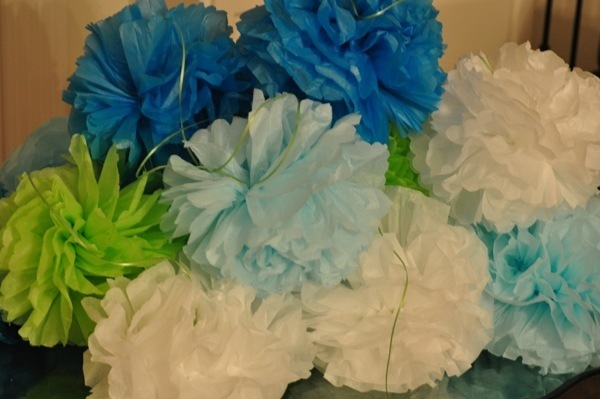 How fun and easy are these tissue paper pom poms, I’ve been making these for years. 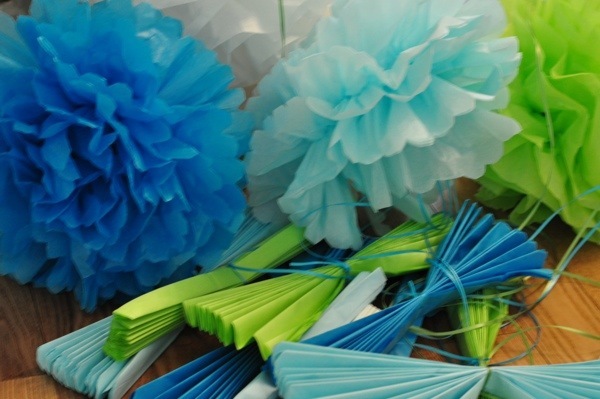 I think I originally saw them on a Martha Stewart show or in the magazine. I started getting her magazines in 1995 and just stopped my subscription last year as I usually just go online now. I think that comment just dated me. 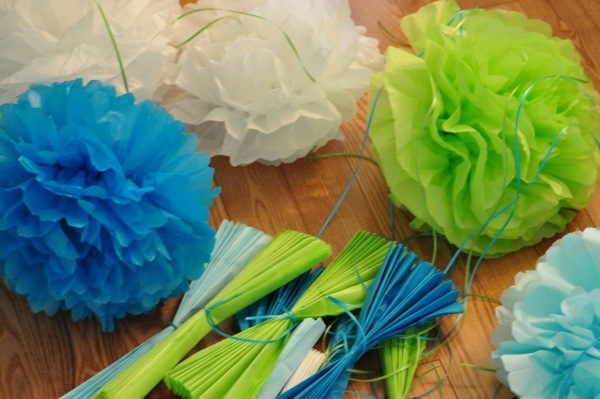 As a reference, here is a link to the website that shows how to make them http://www.marthastewart.com/265163/pom-poms-and-luminarias-how-to These are so easy that the 6 and 8-year-old were making them with adult help. 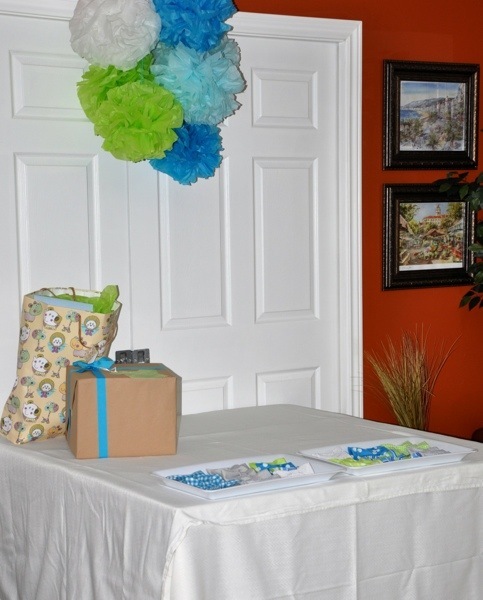 The hard part is finding inexpensive tissue paper in the colors you want. 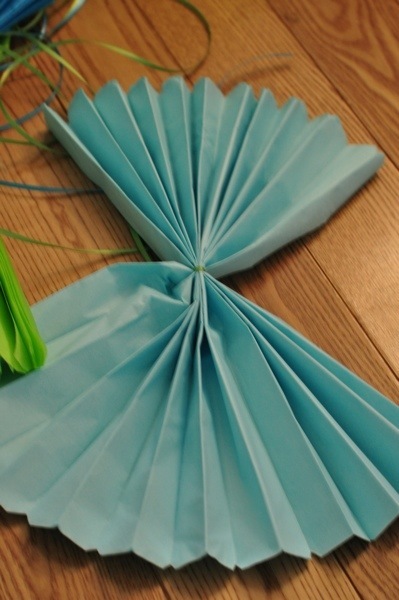 Nice to have and extra set of hands. 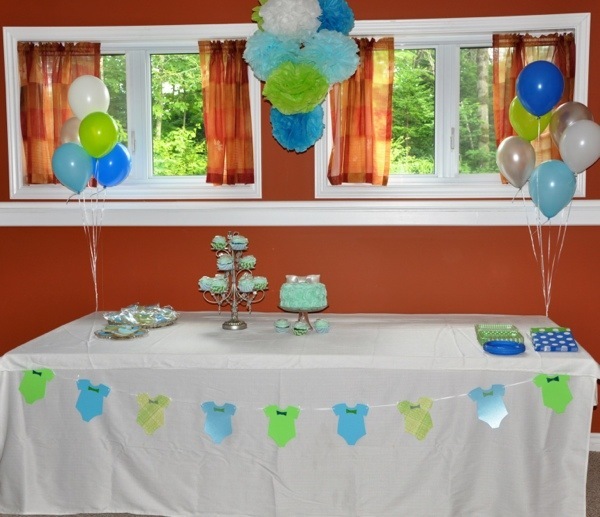 Perfect over the gift table, Which also held the plates of bow tie pins for guests to wear.